Ingredients: Durum wheat bran, 33% eggs. Contains eggs and wheat flour with gluten. No coloring and preservatives added. 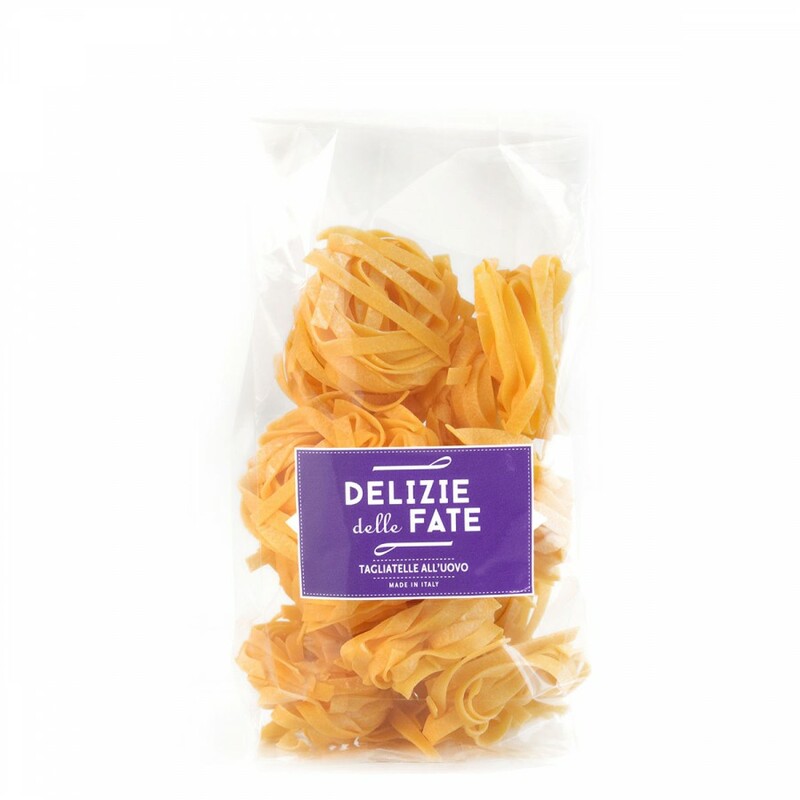 Description: The tagliatelle are prepared following traditional recipes, with semolina and eggs, keeping the thin sheet. Delicious paired with meat sauce and game. Cooking time: 3/4 minutes.